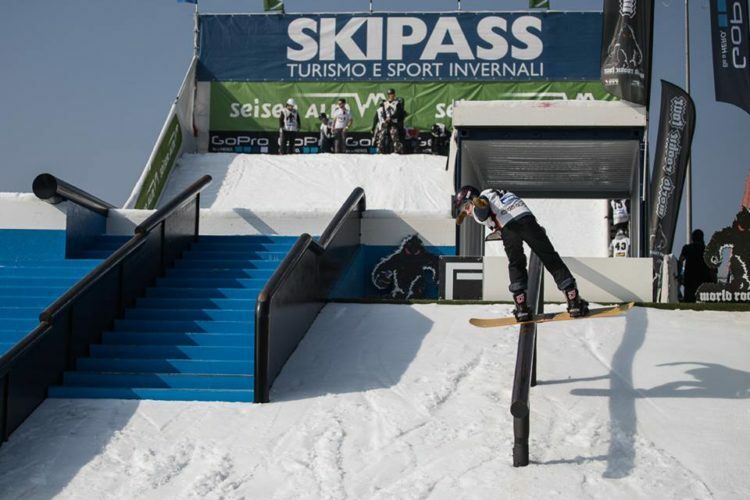 The black Yeti will be back in Modena (Italy) for the second edition of the World Rookie Rail Jam by Skipass! It will take place during the largest italian Tourism and Winter Sports Fair at ModenaFiere, from the 26th to the 28th October 2017. It’s a urban trail jam contest, on an high quality rail set up, where 32 rookies and groms can compete and show their best. The first 3 winners in each category will be qualified for the 2018 World Rookie Finals in Kitzsteinhorn at Zell am See-Kaprun! The rookie and the grom winners will be awarded with all-inclusive tickets for the World Rookie Finals in Kitzsteinhorn at Zell am See-Kaprun and for the new 2018 event “Valle d’Aosta Rookie Fest”. The contest will take place on the 27th. On the 28th the top 5 riders of the World Rookie Rail Jam will have the chance to compete at the Rail Pro Skipass with a prize money pool of 5.000€. The other participants will have the opportunity to visit the beautiful city of Modena and have fun at Le Gobbe skatepark. 28th Skipass Rail Pro competition day (for top 5 rookie/grom only) and skate session at Modena Skatepark. Important: the event is reserved to WSF NSA rookie team only and a limited number of free accomodation is available. So save the date and see you in Modena!